It was written by LadyAries on February 12th, 2015. I am using the fantastic PTU kit "Butterfly Fire" by Devilish Dezines. Copy & paste paper2 into your tag. 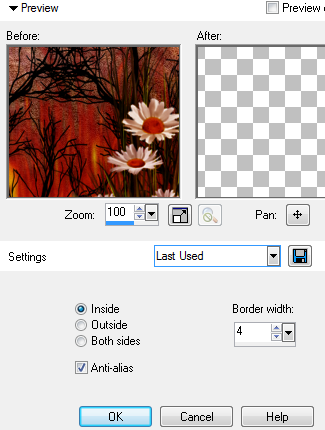 Element8 resize 80 percent-mirror, copy & paste to the left side of your tag. Element10 resize 80 percent, copy & paste to the left side of your tag. 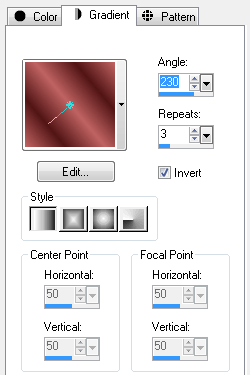 Resize tube 70 percent-mirror, copy & paste to the center of your tag. Element3 copy & paste to the right side of your tag. Element6 copy & paste to the bottom center of your tag. Element3 - mirror, copy & paste to the left side of your tag. Now over in your layers palette set your foreground to #521515 and your background to #c06262 and set up your gradient with these settings. Do not deselect yet. Now flood fill your border with your gradient. 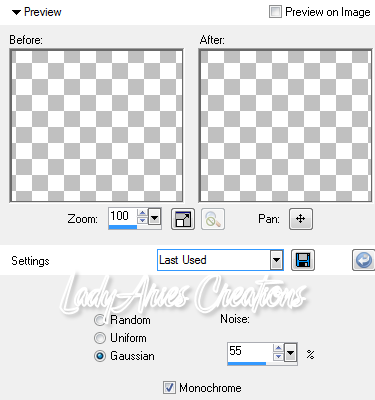 Click on Adjust, Add/remove noise, Add noise with these settings. Merge visible and repeat steps from above for your boarder, gradient & noise.